Barnes & Noble has added a half-ounce, Wi-Fi only Nook and lowered the price of its e-reader by $50 in a move to encourage sales. The device will retail at stores like Best Buy for just $150. 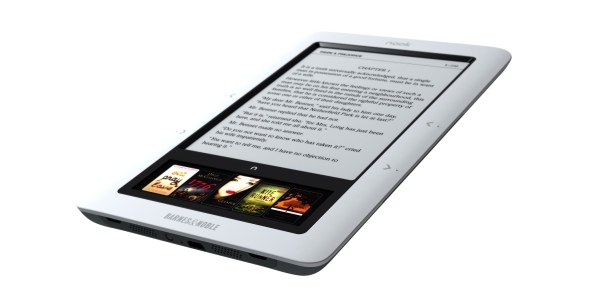 The world’s largest brick and mortar bookseller also dropped the price of its original 3G Nook from $259 to $199. Although ebooks themselves haven’t dropped much yet; Barnes & Noble still prices ebooks primarily in the $9.99 to $14.99 range which, to me, still seems pretty high. Both Sony and Kobo (Borders) have e-readers for $149 but neither currently has Wi-Fi capabilities. So how did Amazon respond? 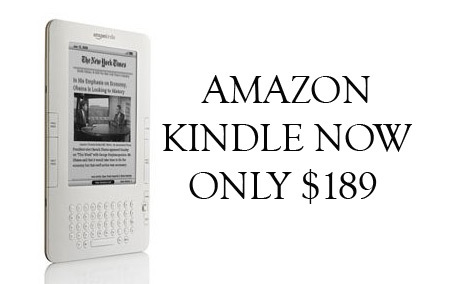 The world’s largest online bookseller dropped the price of its basic Kindle from $259 to $189. The 3G enabled 10 ounce device has tremendous sales numbers and loyalty from consumers. Amazon still offers ebooks primarily in the $9.99 to $14.99 range though they have fiercely pressured the big six publishing houses to lower prices on all ebooks. Obviously both of these moves are in response to Apple’s iPad, which retails for a starting price of $499 but does much more than just read books. Amazon and B&N are wisely doing whatever it takes to keep the book reading consumers in their camps while Apple easily runs off with the app-lovers. What’s next on this front? Clearly the prices of ebooks will drop, and they’ll likely drop dramatically in just a few years. I can’t see how they can remain high for much longer, especially when more and more authors are willing to sell ebooks directly to customers without getting trapped by publishing house standards of old. What’s the best way to sell ebooks? Drop the price of your e-reading device. What’s the next best way to sell ebooks? Drop the price of the ebooks. Another victory for Independent authors.